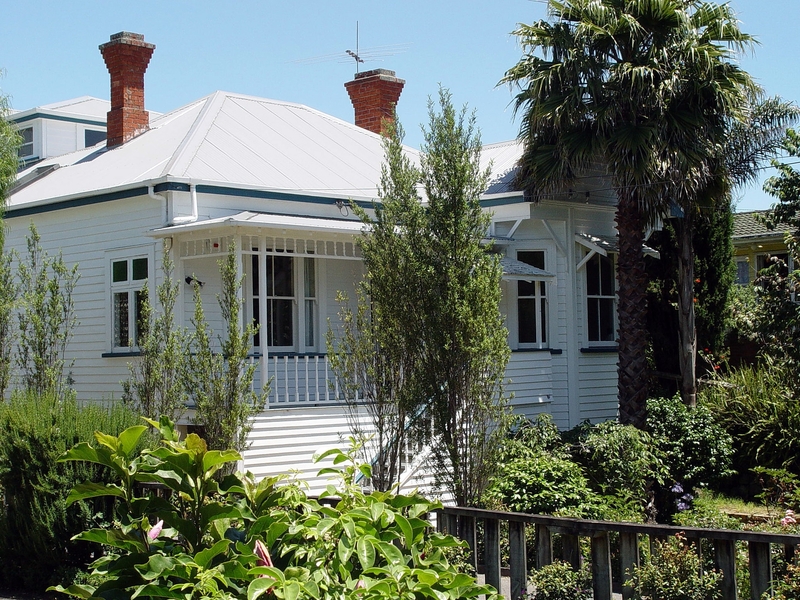 Do you think your property is too old to worry about a depreciation report? Many investors remain unsure about whether it is worthwhile obtaining a depreciation schedule for a rental investment property that was built before 1987. Current tax legislation states that any property built before 15th of September 1987 (residential) and 20 July 1982 (non-residential) cannot claim the capital works allowance as a deduction. This often results in the investor not thinking to obtain a depreciation report as they believe that their property is too old. However it is worth enquiring about any property – even one that is 100 years old! In the case of older properties, it is worth noting that a capital allowance and tax depreciation report covers not only the capital works allowance but depreciation of plant and equipment as well. This means that all properties that obtain an income by the way of rent should be eligible to claim a deduction for the plant and equipment items contained within the property. Even if a property is too old to claim the capital works allowance for the building structure, the investor will still be eligible to claim the plant and equipment allowance. Additionally, if extensions or renovations were completed after 1982 (non-residential) or 1987 (residential), they will attract the capital works allowance. What types of plant and equipment items can be claimed? Many plant and equipment items contained within a property are able to be depreciated over their effective lives. If you’re unsure about your property’s depreciation potential contact us and we can provide a depreciation estimate. Additionally, if we inspect a property and believe that it’s not worth completing a depreciation schedule, we will not charge you for our services. I have an older unrenovated property in Salamnder Bay NSW. Would appreciate some advice regarding whether it is worth getting a depreciation schedule for this property. Your help appreciated. Hi Travis, thank you for your request. For your protection we’ve deleted your contact details from your comment. One of the team have been in contact with you by email and phone. If you need further help feel free to give us a call on 1300 728 726. Cheers. Hi Luke, thanks for your question. I have an old brick veneer 4 bedroom house (possibly built 1970s) in St Albans Victoria 3021 that I intend to rent out. Following from this I am considering in getting a BMT report for this property. Thank you for your question. We are happy to discuss this further with you. A colleague of ours will be in contact soon, but we will require further information to better assist you. Can you please confirm that cuonguyem@gmail.com is your best email and are you able to provide us with a contact number, or alternatively you can call us on 1300 728 726. We’ll need to know the purchase date, whether you’ve rented the property out previously or this is the first time, and whether you have done any renovations on the property. Hi Robert, someone will be in contact shortly. Hi could you clarify for me the date in which a property is ineligible for capital works deduction, is it prior to 1985? In a Margaret Lomas book it mentions a date of 15 Sept 1987? Hi Richard, thanks for the great question, someone will be in touch shortly with a definitive answer for you. Have a great day! Hi we have just had our Depreciation Schedule completed by BMT another good result. My question is, this report was conducted in November 14 and we purchased the property in march 12. The report calculates depreciation back to the purchase date. Can I claim for the previous years depreciation prior to the report being completed. Thank you for choosing to work with BMT. In answer to your question, will be able to claim depreciation from March 12 as long as your property was income producing during that time. If you only started to receive income from the property from November 14, then you will only be able to claim depreciation from that date. We have a older property in Gerald ton WA which we have been renting out since 2012 and we dont have a depreciation schedule on.Wanting to enquire if we can have one.We have just completed this years tax return but have not included one in it but have not signed off on it yet. Hi Mary and Wayne, thank you for your question, a team member will be in touch shortly. i have an unit built in 1978, and i purchased it in 2013. however, i don’t have record of any sorts of building improvement during the period in between. and since my purchase, i’ve been paying for the continous capital improvement fee to the body corporate. can i please ask if i don’t have much info available, can i still claim the capital works allowance or only the depreciation on plants? Thank you for your enquiry. As the original building was constructed before September 1987, as per legislation, there will be no depreciation available from the original construction costs. However, if the building has gone under any structural improvements since February 1992, you will be able to claim off this. We do expect clients not to have costings for any improvements done to the property prior to their purchase so we are able to conduct property searches on the unit and as Quantity Surveyors, we can also estimate the costs wherever we need to. If you like, I can put you in touch with one of our team members to call and discuss this with you further. Do you have a suitable contact number we can call you on or is email more appropriate? I recently started renting out my 7 year old house and was wondering what type of return I would be looking at when I complete a depreciation schedule? Thanks for your question. The depreciation available for a property depends on a few different factors, which we would need to take into account before providing you with an estimate. To get a better understanding of your property and situation it might be best if you drop us an email at socialmedia@bmtqs.com.au with your contact details. If you’d like, one of our team members can get in touch to provide you with an estimate of the likely depreciation deductions you can claim for your property. How do I determine the exact construction date of a unit? Is the depreciation calculated as a 40th per year based on the original construction value (as I have no idea what that was). How is it determined if plant / assets are still within accepted depreciation schedule life? I have owned a unit in Jindabyne for a couple of years, I have no idea if the heating system,etc is original fit from the 80s.